The sun is out, the days are hot, what better way to cool down and enjoy your summer than heading out to the beach with your friends and family? When it comes to spending the day at the beach, it is important that you have the right beach gear and equipment that can let you relax and have fun under the sun. Aside from your swimsuit, beach towel, sunblock, and food that you bring along to the beach, one of the best things that you can bring to the beach are beach chairs. Beach chairs are light and easy to carry around and pack in your car. If you are not a huge fan of sitting on the sand all day long, beach chairs provide you the comfort of having something to sit down on to rest and relax. In this article, we will look at the things that you should look for in an easy to carry beach chair to make your beach trip more fun and relaxing. What Should You Look For In an Easy To Carry Beach Chairs? When looking for a beach chair that you can easily carry with you to the beach, or basically anywhere you want to go, there are several factors that you should consider. Beach chairs sold in the market are made out of various frame materials. The type of material used will determine how light or heavy a beach chair can be. 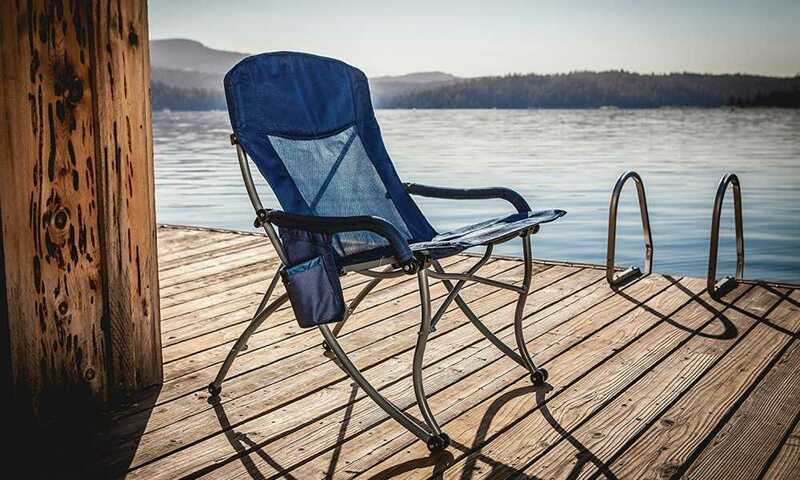 Steel - Beach chairs that have a steel framing are more durable and sturdy, which makes them more expensive than beach chairs made with other materials. In addition, steel beach chairs can also be heavier as compared to aluminum ones. Aluminum - Beach chairs that have an aluminum frame are the most common since they are very lightweight and easy to carry around. A single person can easily carry two to three aluminum beach chairs without hassle because of how light they are. On the downside, aluminum framing is not as durable as those made of steel which makes them more prone to getting dents or becoming deformed when not handled carefully. Wood - This type of beach chair framing provides an elegant and classy look. Wood does not conduct much heat from the sun as compared to aluminum and steel, making them great for people who would like to get a tan and stay out under the sun. However, wooden beach chairs are heavier and harder to carry around. In addition to the framing of a beach chair, the seat material is an important factor that you should consider since this has an effect on how comfortable you are when using it. The most commonly used material for seats is made of plastic, polypropylene, or polyester. This is because these materials are more durable, washable, and are able to dry faster in case they get wet. On the other hand, there are also beach chairs that have cotton and canvas seats. While these types of materials can be more comfortable and softer, they are not as durable and easy to dry. Since you are looking for an easy to carry beach chair, portability is an important factor as well. Beach chairs that are easy to fold are a great choice since you can easily collapse them whenever you want. You should look for a beach chair that is portable yet sturdy and durable as well. When buying beach chairs, you should always ask the weight of each piece and its weight capacity. If you want to have an easy to carry beach chair, then you should look for one which is durable but does not weigh too much. A heavy beach chair is not easy to carry around, especially if you have to walk a number of meters from your car to your beach spot. What Are The Types of Beach Chairs? Depending on your preference, you can shop for different types of beach chairs that come in various shapes, designs, and colors. There are even beach chairs that include different assortments to make them more efficient to have when you are on the beach. Wooden Beach Chair - This type of beach chair can last for years. They have a bigger carrying capacity and do not rust. Lay Flat Beach Chair - This type of beach chair can recline to a full recline position. This is great for individuals who would like to lie down and get a tan. Padded Beach Chair - For individuals who plan to spend long hours on the beach, a padded beach chair can provide the much-needed comfort for relaxation. Backpack Beach Chair - Just as the name suggests, this type of beach chair comes with straps that let you carry it around like a backpack, making it easy to carry around anywhere. Folding Beach Chair - This type of beach chair can be easily folded for storage and transportation. They take up little space and are also very easy to carry around because of how compact and lightweight they are. Beach Loungers - This type of beach chair has an angled back and has a reclining adjustment. It lets you have the option of sitting straight up or be in a more angled and comfortable position. 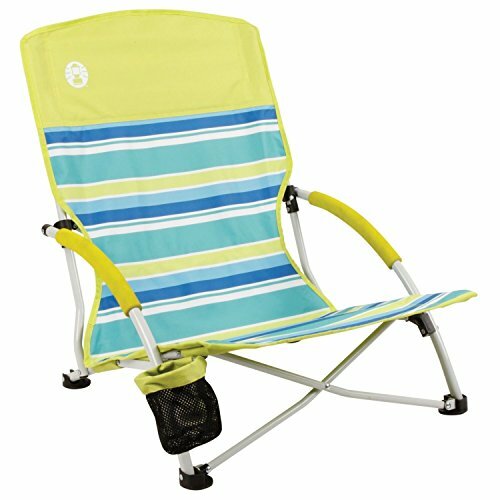 Small Beach Chair - This type of beach chair is very small and lets you sit lower to the ground. They are very lightweight and easy to carry around, making them great for both adults and kids. Which Type of Beach Chair Should You Choose? If you are looking for a beach chair that is easy to carry around, you can opt for the small beach chair, folding beach chair, or the backpack beach chair. These three types are the easiest to carry around because of their portability features. Make sure that the materials used are durable, sturdy, and can last long so you can get what you are paying for. When you find the right easy to carry beach chairs, you can get more fun under the sun while being to relax as well!